Editor's Note: The article is reporting on a treatment study by Dr. Beatrice Golomb of the University of California-San Diego that was funded by the Gulf War Illness Research Program (GWIRP) within the Congressionally Directed Medical Research Program (CDMRP) administered by the U.S. Department of Defense Health Programs under Congressional direction. The study used a single 200mg dose of CoQ10, taken once daily early in the day (CoQ10 can be energizing and can disrupt sleep if taken too late in the day). Two new studies have now been funded in order to advance understanding of CoQ10. The first is an expansion on Dr. Golomb's original study and includes adding additional nutraceuticals with the goal of further enhancing the benefit in Gulf War Illness. It was also funded by the GWIRP (CDMRP). The second is in the very early stages of preparation, and is a broad, Phase III clinical trial to determine the effectiveness of CoQ10 in a much larger study population of Gulf War Illness patients. It will be conducted at multiple VA medical centers in the U.S.
Once these studies begin recruiting, 91outcomes will post articles about to how to participate. By Chauncey Crandall, M.D.Thursday, 28 Apr 2016 03:20 PMMore Posts by Chauncey Crandall, M.D. 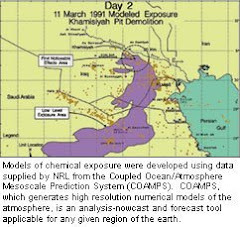 Gulf War Syndrome is associated with exposure to chemicals such as pesticides, or pills given to soldiers to protect them from possible nerve agents. These chemicals can damage mitochondria, which generate the energy our cells need to do their jobs. When these powerhouses of the cells are disrupted, it can produce symptoms compatible with those seen in this illness. 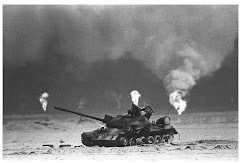 Symptoms of Gulf War Syndrome include those found in chronic fatigue syndrome, fibromyalgia, and functional gastrointestinal disorders such as irritable bowel syndrome (IBS), functional dyspepsia, and functional abdominal pain syndrome, among others. San Diego School of Medicine researchers conducted a study on 41 veterans diagnosed with Gulf War Syndrome. Over the course of the study, half received either a high-quality CoQ10 supplement or a placebo. The researchers found that 80 percent of those who received 100 mg of CoQ10 had an improvement in physical function, and that the improvement correlated with the degree to which CoQ10 was increased in the bloodstream. I tried it until I noticed that it made my AFIB worse. After doing some research I found that those whom have AFIB and take Metoprolol should not take CoQ10.